The Scottish Borders are just over an hour away from our home, making a family day out to this part of our region, easily achievable for us. The border town of Berwick-upon-Tweed has the dubious title of being the most disputed town in the UK, as it has changed hands between the English and the Scots 13 times so far. Today, the town is the most northerly of England and located in Northumberland but the Scottish border is a just a couple of miles north of the coastal town. A couple of weeks ago we headed north up there on the A1 for a family day trip. 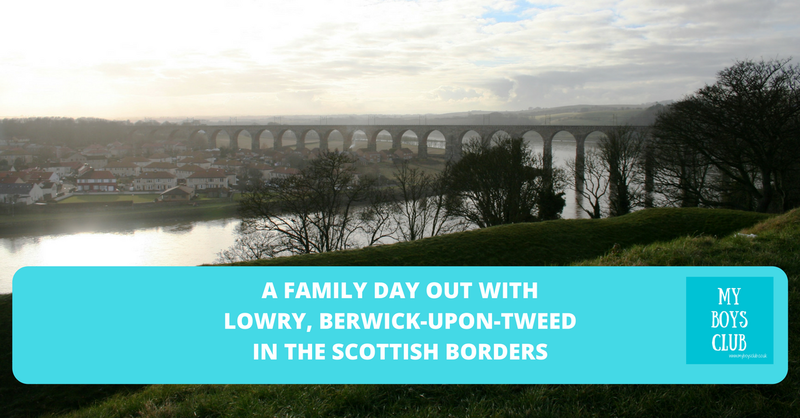 Berwick is a border garrison town, with Elizabethan fortifications, military barracks, and the main guard, all giving insight into the past. But as we also found it is also blessed with stunning coastal, river and countryside views, three great bridges and a Lowry Art Trail. After being in the car less than an hour and a half (minus a quick stop at a service station on the A1) our first stop took us beyond Berwick and into Cowdrait. It is one of four old fishing hamlets in Burnmouth. It is a very pretty fishing village and one my hubby had often spotted out of his train window on his commute to Edinburgh, so we went to find it. 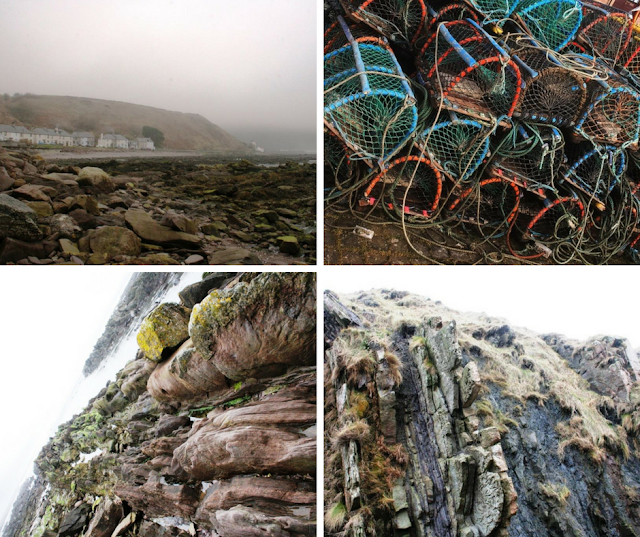 The Berwickshire coastline is characterised by rugged cliffs and sandy coves. And it was amongst the cliffs and coves in Cowdrait that had our picnic, threw stones into the sea, scrambled over seaweed and explored the many rock formations and rick pools that were uncovered as the tide was out. At this point, it was a pretty gloomy day but made for some atmospheric views and there is lots of fun to be had on a beach at any time. After an hour or so we headed south for a few miles and into the Elizabethan town of Berwick. The Scottish border is just 2.5 miles north of Berwick. On either side of the A1 there are lay-bys where you can stop and take a photo or two. Once back in England we drove through the centre of the town and parked on the north bank of the River Tweed, from where we had direct access to The Main Guard on the town walls. From there we started our circular walking route. Located midway between Newcastle-upon-Tyne and Edinburgh, in the 13th century, Berwick was the most important town in Scotland, being its closest port to Europe. The ownership of Berwick has changed between Scotland and England over the year’s, right up until the late 17th century, and the result of this ongoing battle for Berwick is that the town walls are now its most famous piece of architecture. Hundreds of years after they were built, the walls still stand strong today. In fact, Berwick's wall is now the only intact Elizabethan town wall remaining in England. Designed to keep out the marauding Scots who regularly laid claim to the town, each conflict over the town brought repairs and improvements to the town walls, culminating in the great artillery ramparts begun in 1558. 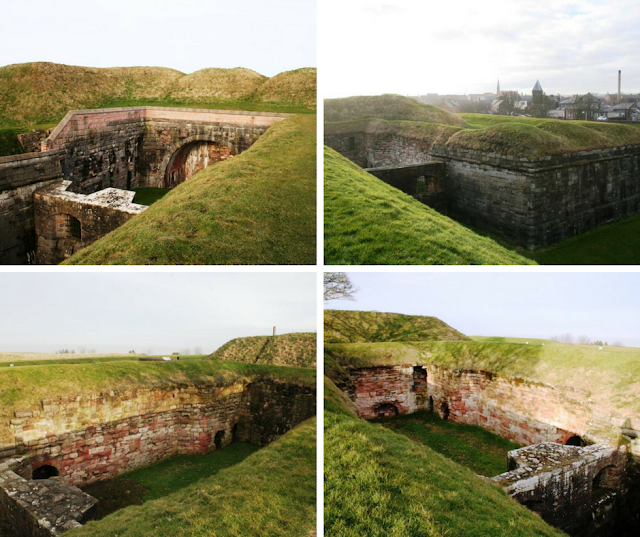 These survive largely intact and make Berwick one of the most important fortified towns of Europe today. We followed the wall alongside the River Tweed up the estuary and came to a lovely viewing area where you can sit and watch the river. Berwick actually has two sets of walls, the first - of which only fragments now remain - was built by Edward II and was two and a half miles long. The second set of walls is a mile and three-quarter in length. The ramparts completely surround the town, and there are only four gates through the walls. Walking around the town walls takes about 45 minutes, the trail is both well signposted and informative too. The footpaths maintained by Northumberland County Council are really accessible and is a great way to see Berwick. You can also take in stunning views of the town and look out towards the wide sandy beaches of the North Sea and the Tweed estuary. The castle and ramparts are open all year round and entry is free. There is also a play park which the boys very much enjoyed too. The walls, protected as a scheduled monument and a grade I listed building, are under the guardianship of English Heritage. The history of the town walls is fascinating and told in full on the English Heritage website. Many of The Lowry Trail panels are found on the Walls themselves so you can also follow in L.S.Lowry's footsteps as you explore the town. Laurence Stephen Lowry (1887-1976) is famous for his 'matchstick men' paintings of industrial scenes, factories and back-to-back terraced houses of Manchester and the North West. I love Lowry’s style of painting. So simple, and yet not. I remember taking photographs in Central Park in New York, and the people ice-skating in the park looking ‘Lowry-esque’ in them, but it’s another skill all-together to paint them. And singing along to the tribute song about him by Brian and Michael is still a fond memory of mine when growing up. However, some of his lesser-known works of cobbled streets and seaside scenes were created in Berwick-upon-Tweed while he regularly holidayed there between the 1930's until the summer before his death in 1976. Lowry was drawn to the picturesque town of Berwick by its fascinating architecture and close proximity to the sea and he produced more than twenty paintings and drawings of Berwick during his visits. 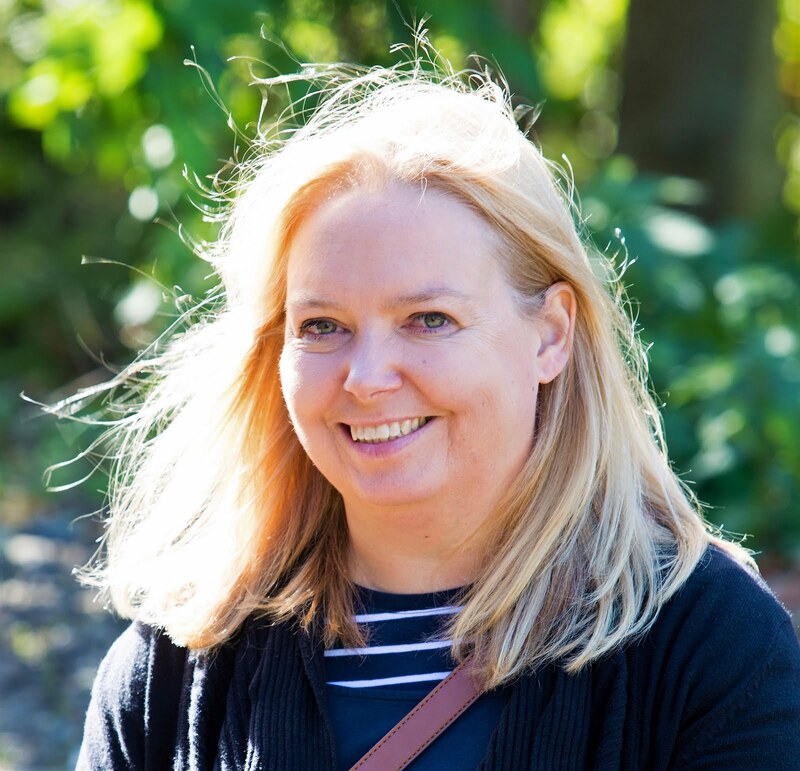 The Lowry Trail is an intriguing beautiful walk, and suitable for all abilities as well as families. It provides magnificent riverside, coastal and town views - the coastline is rugged, the bridges magnificent and the walls themselves pretty amazing. It’s hard sometimes to believe you can still walk around the entire town. And as you walk along the walls you suddenly spot a scene that you remember you have seen in a painting! It’s quite magical. 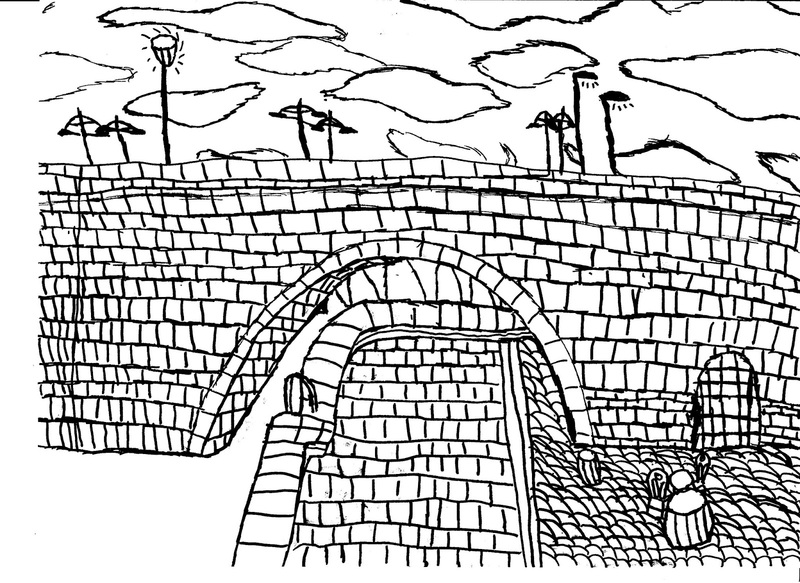 On our visit, we only saw the parts of The Lowry Trail that coincide with the Elizabethan Town Walls however the full Lowry Trail takes around three hours and includes 18 identified painting sites, and crosses to the south side of the river into Spittal. The Lowry Trail is a self-guided walk but one I think we may return to do in full, one day. Our visit to Berwick really inspired my youngest. 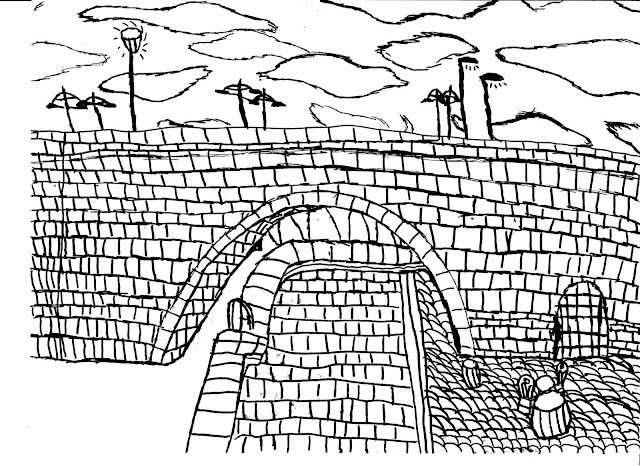 He decided to draw some of the views of the bridges that we’d seen on our walk. There are three bridges which span the river. The oldest being the ‘Old Bridge’ finished in 1634 and still in use today. 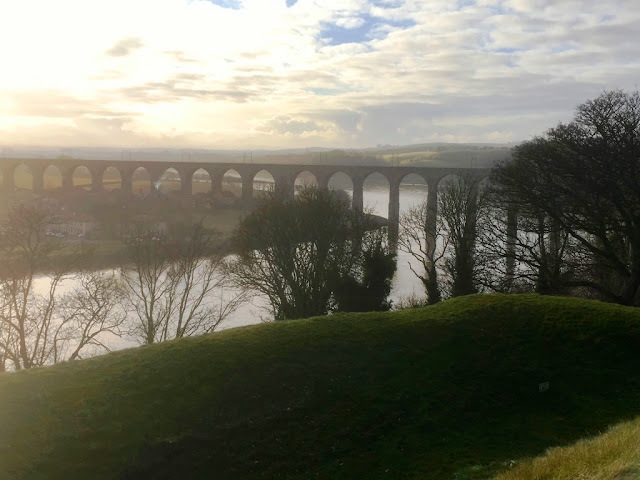 And the Royal Border Bridge, Berwick’s railway bridge, was designed by Robert Stephenson and opened by Queen Victoria in 1850. We went through the photos together and then he selected a few to draw himself. And here is one of the photos and the artwork it has inspired in an eight-year-old. 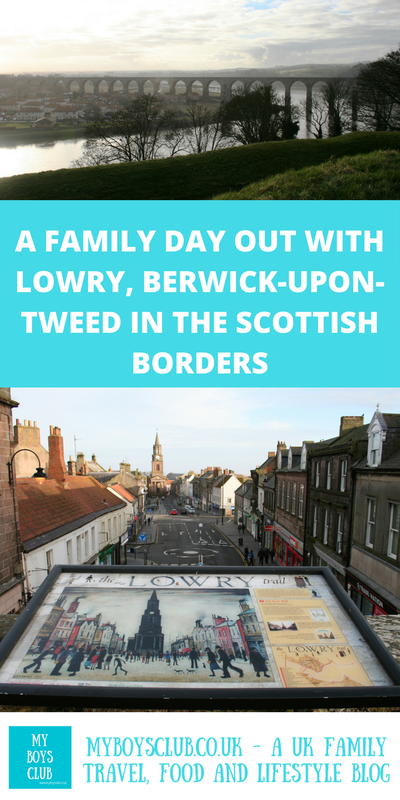 Have you been to Berwick?